Massive Sheds & Double-Drop Deadhead! 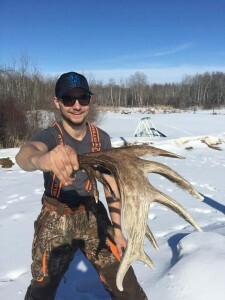 Big Game Illustrated posted these monster sheds that Quinten found in northern Saskatchewan. Like many racks there, the bulk of last summer’s growth went into that incredible mass on a 7×7 frame. 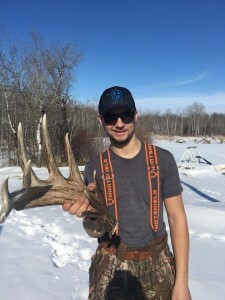 The number of deer overall, and the number of giant bucks roaming the bush, are down the last 5 years, but see why I love hunting up there so? The potential of a world-class buck like this showing up is why I keep going back during the tough years. 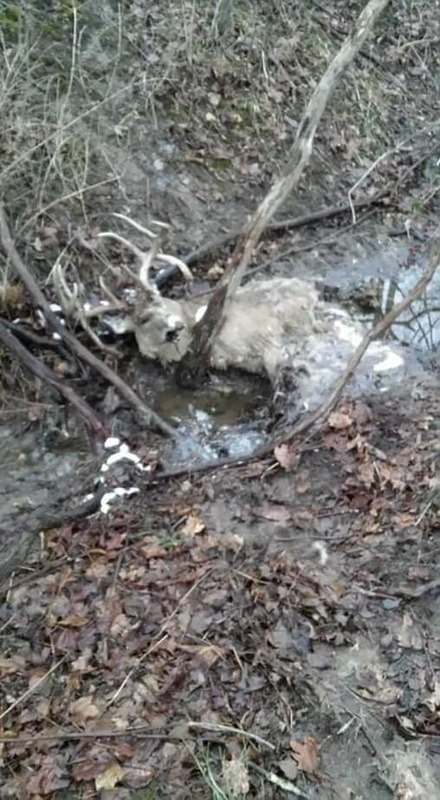 Thanks to Shedheads for tagging me with this one: This photo is fuzzy but the double-drop deadhead that was found in Ohio and supposedly scores 190 is at once sad and amazing. 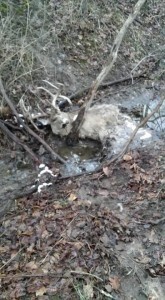 This entry was posted in Big Bucks, BigDeer, Shed Hunting by admin. Bookmark the permalink. Anyone besides me love to have that (the Saskatchewan photo) as a back yard? You could shoot your buck from the comfort of your swing set. I just dream of cholate colored antlers like that, I have to make up for it with numbers of antlers. Congrates to Quinten on a great antler, hope he can match it up.